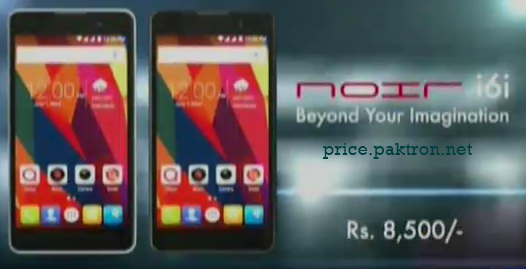 Qmobile launched new smartphone I6i which is available in Pakistan. Qmobile I6i smartphone is Packed of 768 MB RAM, 1.3 Ghz Quad Core Processor and 5 Mega-Pixel rear camera. This cheap handset comes with latest Android version i.e. Android 5.0 (Lollipop). Android 5.0 (Lollipop), 1.3 GHz Quad core Processor, 5-inches IPS FWVGA display with 145.2 x 73.2 x 9.05 mm size, Dual Sim, 1800 mAh Battery, Torch, 768 MB RAM with 4 GB internal Storage and 32 GB MicroSD card supported, 3G Supported, WLAN, Bluetooth, Audio/Video Player, FM Radio. 5 Mega-Pixel Rear Camera with LED Flash and 2 Mega Pixel Front Camera.